Everything on our plane of existence is made of energy. Even though the computer in front of you may seem 100% solid, consider this: Scientists have shown that if an atom was the size of a cathedral, the nucleus inside it would be the size of a small coin. Atoms are mostly empty space, but when they group together to form a “solid” object, the solidity is actually a result of energy waves that flow through them vibrating quickly enough to form the impression of solidity. This means that our bodies actually consist of energy, otherwise known as chi, prana or orgone. So, what does this have to do with energy blockages? You see, a perfectly emotionally and physically healthy person would have energy flowing unobstructed through their bodies. However, when we experience traumas of any kind, no matter how seemingly insignificant, the energy flow in our bodies is restricted. Even negative thoughts can form energy blockages if they are strong or consistent enough. If we are in tune with our bodies, we can feel these energy blockages. For example, if you think of a particular memory or situation that makes you feel bad, you can usually feel it in a tangible way – a churning in your stomach, a tight feeling in your chest, or any other physical discomfort. These blockages diminish your vibration, and in extreme cases can lead to physical illness. When you feel negative emotions, these are a manifestation of blocked energy – emotions are simply a way of your body feedback system letting you know whether energy is flowing freely in your body or if it is blocked. When you are truly happy, you can sometimes feel your whole body buzzing, because healthy energy is flowing through it unobstructed. How do we Heal Energy Blockages? Since extreme energy blockages can eventually lead to health problems, we want to encourage a healthy flow of energy through our bodies. There are many ways that we can do this. Ancient systems such as Qi Gong and Yoga were developed not only for our physical health, but to facilitate a healthy energy flow in our bodies. Modern techniques such as EFT, Reiki Therapy, Crystal Therapy, Candle Therapy, Angel Therapy and various emotional release techniques have the same effect. However, orgonite can be a powerful tool that we can use to eliminate energy blockages. Since orgonite turns stagnant and negative energy into positive, healthy energy, surrounding ourselves with healing orgonite can help us get rid of energy blockages. Wearing an orgonite pendant and keeping orgonite in our vicinity will help dissolve energy blockages. Many people feel increased happiness after being introduced to orgonite – this is a sign of a healthier internal energy flow. However, since this is a passive method, it can take time to get rid of stubborn energy blockages. 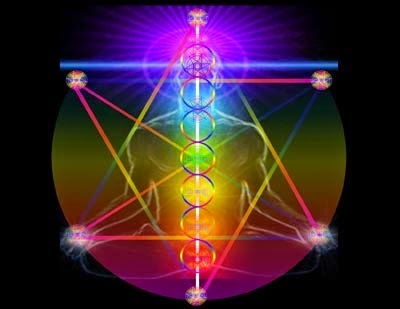 We can also be more pro-active about healing energy blockages. One of my favourite methods for this is combining chakra orgonite with chakra meditations in order to balance the chakras. Personally, I use an orgonite chakra set while meditating. 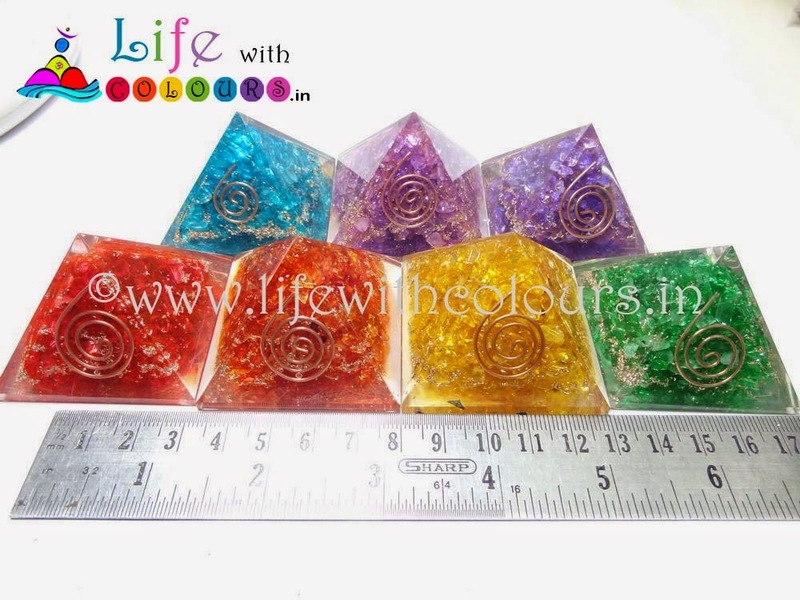 I lie down and put each chakra orgonite piece on its respective chakra, and enter a meditative state. I like to use binaural beats or chakra meditations which guide me through opening and balancing each chakra. You can also simply put your focus on each chakra and “ask” the orgonite to help you balance the chakra. Like crystals, orgonite responds well to intention, and any orgonite healing will work best if you focus your intention on how you want the orgonite to function. A Quantum Touch healer friend of mine regularly uses a set of my chakra orgonite as helpers during her healing sessions.